Spring is here! Start your Spring cleaning with your dog! Spring is the hardest time of the year to keep your pets clean. You battle everything from dirt to pollen. This is especially important for families with allergies. Pets can carry in pollen and get it on your carpet, rugs and furniture. Be sure to get your dog groomed frequently to keep the outside grime OUTSIDE! At Hound’z Of Hollywood, we provide a stress free, convenient and loving alternative to grooming your most special friend in the world. At Hound’z Of Hollywood, we know you have a busy schedule and it can be hard to schedule your dogs grooming appointment and make numerous trips back and forth to a grooming salon. With Hound’z Of Hollywood we eliminate the stress and anxiety of a traditional noisy, chaotic grooming shop environment. Your dog will never see the inside of a cage. He/she will receive one-on-one, completely specialized and loving attention. That is why at Hound’z Of Hollywood, we strive to make your dog’s grooming experience a relaxing one. For all the love they give you, shouldn’t their day be just as rewarding as yours. With Hound’z Of Hollywood, we come to you, take your dog for a potty break before entering our fully equipped, climate controlled, elite size grooming vehicle and the best part will be no more separation anxiety for you or your dog. They receive constant one-on-one attention from start to finish and then lovingly returned to you looking and feeling great “Hollywood Style”. This is truly the best way to show your love and appreciation for your companion. 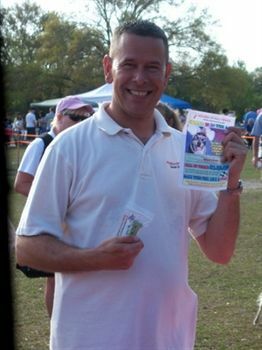 About Charlie: Prior to getting my certification I had groomed friends and family pets for over 15 years. I also worked in pet salons in Atlanta Georgia as an apprentice so I have learned from the ground up. I too am a pet owner of a very special Shiba-Inu (Lucy) and love to just give that special attention to all of our four-legged friends. It is our mission to provide a caring, quality and professional grooming to your dog, that is both a pleasurable experience for him or her, and is convenient for you.